Ofu Obekpa earned a degree in Business Administration and Marketing from The University of Maine at Machias. The business education he received there was solid and Ofu was perfectly poised to embark on career in business but then he also found he was surprised that there was another side of himself that needed to be expressed, a side he describes as “very visual and very internal” and interested in “creating in my own space and time.” Uh…that doesn’t sound like business talk to us! So Ofu made the crucial decision to take his interest in film seriously and find that next step that would take him where he wanted to go. Strangely enough, such an interest wasn’t atypical in his family. As the son of two actors, Ofu had been exposed to drama and theatre at an early age and trained as an actor throughout his childhood. In fact, Ofu has even written, directed and even produced several stage productions and films. So, considering it as the next logical step in his creative and educational career, Ofu applied to graduate school for filmmaking. He got accepted but then started to reconsider, saying, “The tuition was just enormous.” His practical, business-minded self couldn’t help but think that instead of giving his hard-earned dollars to a university, he “would use that [money] to shoot a film or something” but first, he needed to upgrade his skillset. Not long after that, Ofu found Film Connection while doing an online search. He instantly liked the “one-on-one concentration with a mentor” and also the “hand-in-hand experience” afforded by the program’s unique approach. 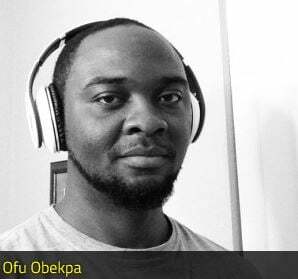 Ofu was placed with Rite Media Group in Atlanta where apprenticed to two mentors to enable him to focus on post-production as well as the basics of filmmaking and camera work. Steve Carmichael, a veteran of more than thirty years in the business handled the hands-on filmmaking portion of Ofu’s education while Kevin Christopher worked with Ofu to train him on editing, post-production, and also visual effects. Far from being hand-holders, mentors Steve and Kevin expected Ofu to manage his apprenticeship like a professional who’s already on the path to success. Speaking of Kevin, Ofu says, “He just guided me and told me what to do, and how to do it” but, he continues, “No one is going to open your brain and just slam things in your head.” In other words, a solid apprentice must be proactive, not passively waiting to be told how to do something but instead actively seeking to learn how it’s done. Once you get yourself hardwired into this active process of learning and doing, you’ll find you’ve got the work-ethic of a professional who has what it takes to thrive in the world of film production. We couldn’t have said it better Ofu! Check out this super-intense action trailer, Directed and Edited by Ofu Obekpa, camera op Dragos Putureanu.